Grady Watkins Estate Auction — Harritt Group, Inc.
10% Non-refundable down payment due day of auction, balance due in 40 days. Buyer to assume Spring 2017 taxes. Possession immediate day of closing. Selling as is with no contingencies, all inspections welcomed prior to auction. 1960’s brick 3 bedroom – 1 1/2 bath ranch with basement and attached garage in established Northaven subdivision located just off 10th Street. Also selling three vehicles and collection of household goods. 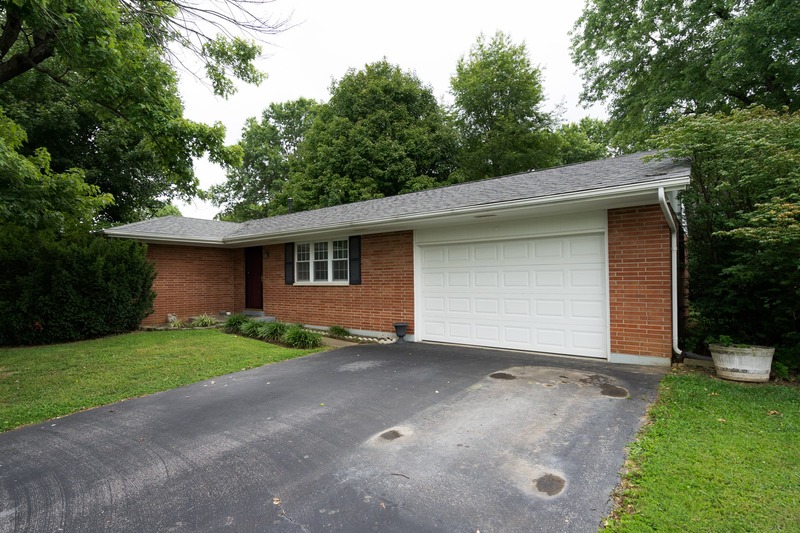 Brick 3 bedroom – 1 1/2 bath 1065 square feet ranch built in 1964 with unfinished basement, attached one car garage, concrete patio on a 76’ x 120’ lot located in Northaven just off 10th Street in Jeffersonville, IN. Home features equipped kitchen, dining area, outdoor entrance to basement and an attached 17’ x 25’ garage. Plan to attend for this excellent buying opportunity. 2010 Chevrolet Cobalt 25,858 miles, 2002 Chevrolet Cavalier, as-is 1992 Geo Metro (selling without title). Pedestal dining table and chairs, china hutch, (4) piece reproduction 1800’s cherry bedroom suite, grandfather clock, painted drop leaf table and chairs, antique high chair, wicker rocking chair, coffee and end table set, folding TV tables, iron bakers rack, iron patio furniture set, jewelry cabinet, daybed, childs rocking chair, plant stands and book shelves. MA Hadley pottery, oil lamps, Corelle holiday dinnerware, 24” flat screen TV, rooster decor, several framed art pieces, Kenmore gas grill, Nishiki road bike, storage shelves, seeder, portable air tank and assortment of yard and tools. I-265 to Jeffersonville IN 62 Exit. West on 10th Street 2.5 miles to right on Sportsman Drive to right on Skyline Drive. Auction on right.